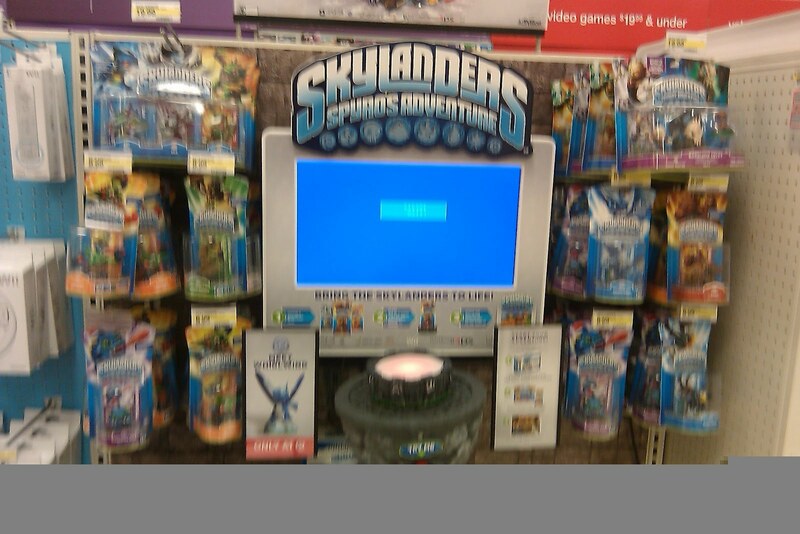 Wiisdom: Weekly Skylanders Update: Found Something Local?! 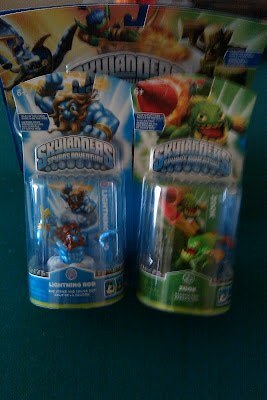 Weekly Skylanders Update: Found Something Local?! Well, it is now 3:38 AM and I'm not really up for investing a lot of time into this post...right now anyway, lol. I made the rounds tonight, except for Best Buy (have I mentioned here lately that I don't like that place?). I bring them up not just to mention once more I am not a fan, but because I saw online where an employee reported getting a drop shipped box from UPS that consisted of 15 Wham-Shells...and yes, it was someone in the US. Enjoy the picture fuzz for no charge. My phone camera has been doing that a lot lately...and oddly enough it isn't motion related. If you move much at all you just see streaks, that is with me holding it still. I'm not sure what the deal is...it seems to be certain lightning conditions. I took two shots today (Sat) one was perfect, the other was fuzzy. Walmart had a few more than usual...notably the likes of Hex, Drill Sergeant, and Wrecking Ball...apparently my local scalper is not making enough profit on these anymore...they were joined by the usual Boomer, Chop Chop, Drobot, and Prism Break. Toys'R'Us still had a lot of stock...of everything but Wave 4 and Wave 5. I do want to mention they have sold all (well the three they had last week) their second round of Dragon's Peak. The Empire of Ice, Pirate Seas, and Darklight Crypt assembly from last week was reduced to 3-4 Darklight Crypts. I honestly think parents just seem to be more inclined to buy a shark and pirate ship, or yeti and ice fortress as opposed to a skulled guy that hunts ghosts and has a mace. Shockingly, the Legendary Trigger Happy stock was probably down to 100 or so...only took about a month to put that dent in the collection. On that note, I have heard that the Legendary Triple Pack is coming back. I really wish it wouldn't. I'm sure round 3 will be more on the scale of LTH where they are flooding the store (unlike Dragon's Peak). That will basically mean that the only real collectibles will be the gold/silver/blue/crystal etc Skylanders. 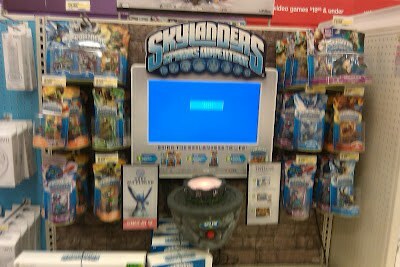 My local brand-x store that carries Skylanders impressed me. They have gone from two clips, to the overflowing two clips I showcased last week, and have now graduated to an end cap! Sonic Boom, Whirlwind, Drill Sergeant, Double Trouble, Chop Chop, Boomer, Drobot, and a few others highlight the find. Oh and that bit about finding something local....yep, it happened. As you recall I just got my TRU.com Triple Pack of Lightning Rod, Cynder, and Zook in on Monday. I had to run some work errands and took the time to run into Walmart...this store is not impacted by the psycho scalper and in addition to having a nice assortment of Wave 1-3 (none in mass quantity) I did land the only two Wave 4 they had: Lightning Rod and Zook in single packs! It is definitely "Bamboo-Yah!" not the originally planned, "Locked and Loaded" which I kind of like, although both work. Anyway, I am beat...I'll add some headings and pictures tomorrow, cough, later today. I will also mention, I asked an employee at every stop about Wave 5...none of them acted like they had even heard of or seen Warnado around, but most were familiar with Zook or Lightning Rod. 1. I really want to upgrade my fleet...I've been playing with base powers, or basic upgrades to the point of picking a path for far too long on many champions. 2. BEFORE I run in and recklessly upgrade Skylanders I want to complete some of the harder Heroic Challenges...that is likely what I will be messing with this weekend. ONCE I have everyone through at least the tough ones (when powered up) I will come in and record another mass upgrade video where I just stick Skylanders on the portal and see what we can do. SHOULD I land Warnado or Camo before then you better believe they will be unboxed, introduced, and recorded in game play. Well, hope everyone has a great weekend. I will also get a few more posts and new features up on the blog soon...if time allows I'll start hitting some YouTube comments too. Are u going to do the time goals for the adventure packs? 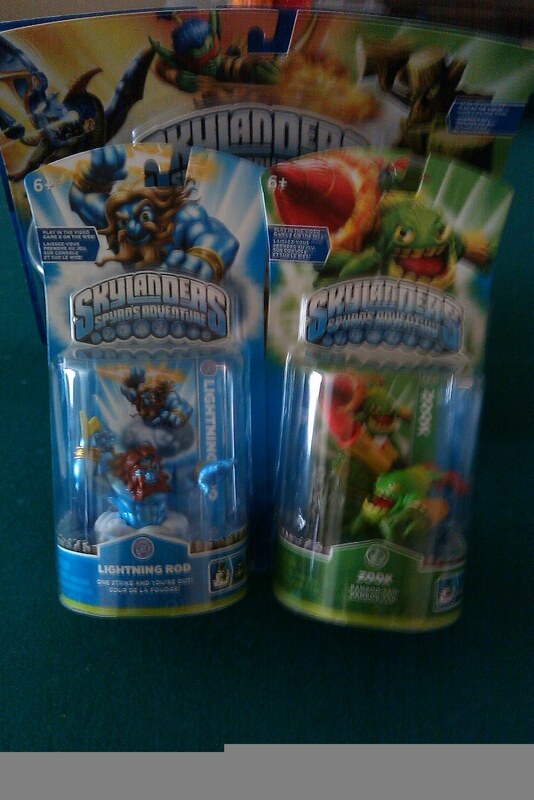 And are u going to take one skylander to do all the heroic challenge(that u have)? Yeah, I'll prob do them eventually...I kind of want to knock out a few more heroics. As of right now I think I have Terrafin, Ghost Roaster, Slam Bam, and Stealth Elf up through 26. I want to get a few others to around that same level, then I'll tack on the next three (Sunburn, Lightning Rod, & Zook). If I ever land the last three Skylanders, I will let Terrafin be the first Skylander to hit 32!